The choice of camera for this project is perhaps the most critical element of all. There are a few cameras that were candidates. Four cameras were tested in the field with an 11″ telescope: Watec 120N, Super Circuits PC165DNR, MallinCAM JR, and MallinCAM Hyper Plus. The Watec camera was the one tested for the original proposal on which the design of this project is based. Any camera chosen needs to beat or at least equal the performance of this unit. Unfortunately, production of the Watec has ceased. Supplies still exist but this won’t last forever. There is a strong need to find a camera that will be available into the future. The Super Circuits PC165DNR camera was perhaps the most exciting of the bunch but mostly just because it is by far the cheapest candidate. There have been promising reports from other amateur astronomers and was clearly worth checking out. This camera is definitely quite sensitive and that alone makes it quite useful. Unfortunately, the noise patterns in the images make this one difficult to use for our project and it is not quite as sensitive as the Watec. It might be useful for other occultation projects but we’ll have to pass on this project. The MallinCAM JR is the cheapest option of the MallinCAM line of cameras and is also intermediate in cost between the Super Circuits and the Watec. The performance of this camera is pretty good, definitely better than the PC165 but still not quite as good as the Watec. Given a choice between a JR and a Watec I would happily pay the price difference. The MallinCAM Hyper Plus was provided on loan by MallinCAM USA. It is more expensive than the Watec and is nearly the best camera sold by MallinCAM. While the cost alone ruled this camera out, it was supposed to represent the sensitivity possible by a particular type of MallinCAM. The cost of the Hyper Plus is high because of some really nice extra features of the camera that we don’t really need for the RECON project. The idea was that if this camera worked out, MallinCAM could produce a version of a camera without the extras for a lower price. In the tests, this camera was a clear winner. The camera for our project is called the MallinCam B&W Special. Stay tuned for example images and more quantitative data on the performance tests once the cameras are delivered. This is a very simple device, perfectly designed for occultation work. After some very simple configuration it will be ready to collect data for the project. This camera is not very big, just a couple of inches long. It doesn’t take up much more space than an eyepiece and weighs about that same as well. 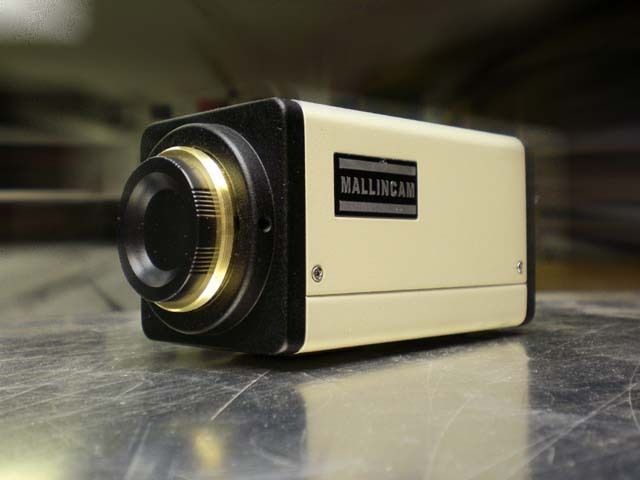 If you want to get the same equipment as we are providing to RECON you should contact MallinCam. SENSE UP choices: OFF, x2, x4, x6, x8, x12, x16, x24, x32, x48, x64, x96, x128. Never use OFF for occultations. The sense up setting will depending on the brightness of the target star. ALC/ELC choices: ALC or ELC. This has sub-menus. For ALC, you control SHUTTER (normally OFF) and LEVEL (set to the max or to the far right). For ELC you can only change LEVEL. BLC choices: OFF, PEAK, ON This has a sub-menu for PEAK and ON. In the ON sub-menu, you see AREA SET and PRESET OFF. Choose AREA SET. When you do this you get a grid covering the image. One block is blinking, this is the block you control with the arrow keys to set the area to use for setting the black level. When set properly, the periphery of the grid is black and the interior is grey. AGC choices: OFF, MANU(al), and ON. MANU (and ON) has a sub-menu, set this to MAX. W/B choices: ATW, MANU(al), AWC. MANU has a sub-menu to set the color temperature. These are all the suggested settings. For any given event, it is assumed you are using the settings summarized above and any deviations from this will be spelled out on the individual event page.